Enjoying a Mediterranean climate with long, dry summers perfect for days spent relaxing on the beach and dining al fresco, Sardinia is perfect for luxury holidays. This stylish Italian destination boasts lush scenery, sandy beaches and vivacious towns. 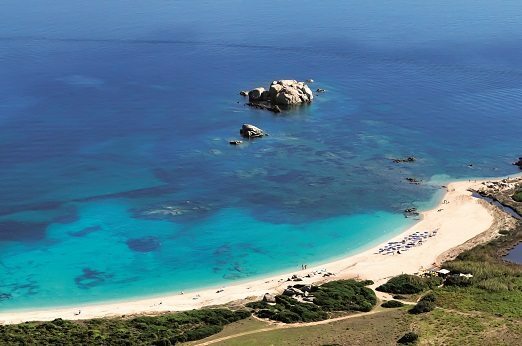 Below are our top five reasons to visit Sardinia for each type of holiday-maker. Sardinia, oozing with Italian charm is the perfect island for couples looking for romance. Secluded pristine sandy beaches are perfect for those looking to soak up the sun together. Equally indulge in some fine dining in the exclusive town of Porto Cervo. Without a doubt the most romantic place to stay in Sardinia is the five-star Hotel Capo d’Orso Thalasso & Spa who’s delightful breakfasts are served to the enchanting playing of a harp. Sardinia is a fantastic destination for luxury family holidays with a plethora of activities for both children and adults alike. Located in the warm Mediterranean Sea it is perfect for watersports and sailing. The five-star Valle dell’Erica Thalasso & Spa is a wonderful hotel for families with facilities and clubs for children from 12 months to thirteen years. Amenities include an outdoor infinity pool, children’s pool, pitch & putt golf course, 18 hole putting course and numerous bars and restaurants. 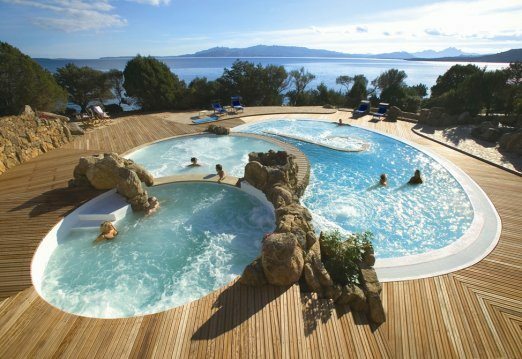 Parents can take time to relax in the splendid Thalasso & Spa Le Thermae with four hydrotherapy pools, sauna, Turkish bath and a range of treatments. For the discerning traveller there is plenty to see and discover in Sardinia. 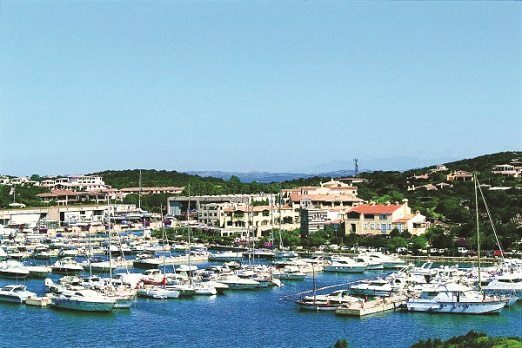 Take a leisurely stroll around one of the traditional Sardinian towns or dine in one of superb restaurants in Porto Cervo marina. If you are looking to explore a little further take the little green train, otherwise known as Trenino Verde across one of three scenic routes from Palau to Tempio, Bosa to Macomer or Arbatax to Mandas. Those travelling on their own will be sure to find just what they need on this Mediterranean island. There are plenty of places to relax and the lively locals will make you feel very welcome. The islands capital city Cagliari is a fascinating place to visit with its Roman and Byzantine heritage. Amble around the city’s streets and enjoy a coffee or glass of limocello in one of the cafes. A visit to the Roman amphitheatre is also a must. Sardinia is a haven for sports and thrill seekers both inland and off. The varied terrain is excellent for mountain biking and during the winter months there are even ski resorts located in the islands mountain range. Sardinia is also a premier choice for sailors with the Mediterranean Sea offering perfect conditions for yachting, windsurfing and kitesurfing. There is simply so much to do and see in Sardinia and the island can provide the perfect luxury holiday for every visitor.